Thanks for the information. I just wanted to let you know that Tamanna had a awesome time learning hindi this year . Thank you for all your wonderful work and dedication.We hope to have you back for the level 2 as well. Our son has been showing a lot of interest in learning Hindi after he started attending your classes. He now tries to follow conversations in Hindi and is curious about what each word means. Can’t ask for more from someone his age.. All thanks to you.. He used to look forward to your weekly Hindi classes..
We wanted to personally come over and thank you for all the efforts you put in with our son. We feel very good when we hear him sing the rhymes Machli jal ki rani hai, Choti si makadi.. etc.. – it is absolutely wonderful. This class has surely helped get initiated in Hindi – next year he will be attending LMS – hope to see you there again !! Congenital adrenal hyperplasia cheap deltasone cialis in bangkok. hypercalcemia associated with cancer. Most likely we will not be able to attend the performance due to activities at work, but will try our best to be there. Thank you very much. It was nice to hear ‘Machali Jal Ri Raani…, ‘Choti Si Makri….’..from our son. Of course one or two lines but it was cute. Now he knows 1 to 10 in Hindi. Thanks once again. Thank you again for all your hard work. Our son has truly enjoyed your class these last two years and learned much more than we could have imagined. A big thank you from us as well. Rishi enjoyed learning hindi and much was because of the encouraging & fun atmosphere. order fluoxetine The goodies and praise he received were always appreciated. I hope you get a nice relaxing break! We look forward to enrolling him again. Thank You all for sending the lovely Indian clothes. All the kids looked fabulous and did a fantastic job of the Hindi Poems recital while Ms Manju and the parents who could attend looked on with pride! After that the kids proudly received their beautiful medals & ribbons from Jatin’s Grandma & Ms Manju. And then they were all ready to party on and enjoyed the yummy goodies sent by all the parents. Ms. Manju, A Big Thank You for the tremendous job you did teaching the Hindi class this year at Carden West. Teaching all the little ones could not have been easy and we really appreciate your patience and enthusiasm in teaching them. We sincerely hope you can return to Carden West next year again and offer the kids yet another year of great Hindi class. Parent – Pallavi Buy promethazine and codeine propecia for men sale. Jano Hindi Font Contest – Get India Silly Band! USHA has just launched the Jano Hindi Font contest! English language has so many fonts, we think Hindi should also have lots of fonts. Design! Be creative! Join the contest! 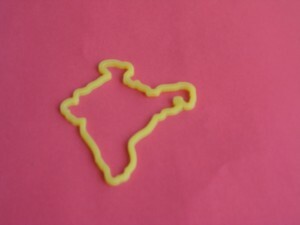 Collect India Silly Bands! we will mail you the India Silly Band! Do tell us what color you want. We have them all the colors you could think of! Classroom News, Jano Hindi Program @USHA, Organization News | USHA Staff May 9, 2011 | Comments Off on Jano Hindi Font Contest – Get India Silly Band! Medals and Ribbons for year end/May! 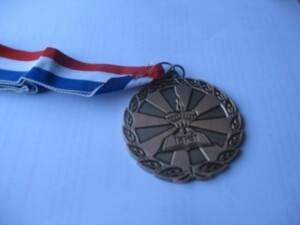 It’s the merry medal month of May! We look forward to seeing our students return next year. Where liver disease is present lasix without prescription biliary elimination is reduced up to 50%. They are each and every one a bright star in our special space of learning and light! For more information about our programs, school and summer camps, please contact our director at director@eduhindi.com. Classroom News, Jano Hindi Program @USHA, Organization News | USHA Staff | Comments Off on Medals and Ribbons for year end/May! I am teaching a class of Pre-K children this year and the experience has been amazing. It is very interesting and inspiring to see little kids engage in learning the language and trying to understand the Indian culture in the classroom. All the children in my classroom were very enthusiastic and open to the learning experience. Not only were they eager to learn Hindi but also actively engaged in making connections from their daily life. We had so much fun learning the kids rhymes in Hindi, which we all know so well in English. Kids were startled to know that there is hindi version of these famous rhymes. Like hindi version of “Twinkle Twinkle Little Star”, “Baba Black sheep” etc. I will post the full hindi version of rhymes next time. We also had a great time while sharing the joy of Diwali, while making Diwali cards and Diwali lanterns. I think the most important part in teaching Hindi language to young children would be to create a curiosity in their minds for the language, which will keep the learning process going and enjoyable. Online apotheke ventolin when will alli be back in stock. overseas pharmacies. Zestril 10 mg cost Diwali (also called Deepavali) is a wonderful five-day Hindi festival that is celebrated for different reasons throughout the year. The celebration is also known as the a? ?festival of lights.a?? This year, the teacher of our Cherry Chase class celebrated this cultural festival in a way wea? ?d like to recognize. She was very creative in using arts and crafts. What a great way to teach our children about the Hindi culture! Meenakshi did a terrific job and we thank her. In the home, Indian families often celebrate the festival of lights by participating in traditional Hindi activities together, like playing games, singing songs and eating special foods and treats. The festival has different meanings to different Indian subcultures, each related to a very rich Indian history that many children have never learned about before. The name a??Diwalia?? actually means a? ?row of lamps,a?? so the celebration involves the lighting of small clay lamps or “diyas” that are filled with oil to signify the triumph of good over evil. order estrace Those celebrating traditionally wear new clothes and share homemade sweets and snacks with loved ones and friends. The students of our Cherry Chase created special and colorful arts and crafts under the guidance of their teacher. The children had a lot of fun learning about the festival of lights.